I am still on my clean eating journey. I don't know about you, but one thing I miss is the mayo. I used to avoid mayo because of the fat and calories. I don't worry so much about fat and calories anymore. I care about each and every ingredient that goes into my mouth. We need fat and calories, they just need to be wholesome. Mayo, even the new "olive oil" mayo, is full of horrible ingredients, gmo's and chemicals. This leads to something I should tell you all. I have a confession to make about something that is going on with me. I was not going to bring up my battle here on my blog, until I was encouraged to by my daughter, family, and friends. So here it goes. I have cancer. Without going into details on all the horrible tests, surgeries, and doctor visits. To sum it up I am in for a long fight. I have been in a lot of pain since February. That led to a lot of tests, and a minor surgery to find out that I indeed have cancer. Don't you worry though. The type I have has a 95% curable rate. I am a fighter and I know that I will beat this. Honestly I am mostly worried about how I will look after I beat this. It may sound shallow, but I really don't want to lose my hair. I have heard from different people that they didn't lose theirs. So I am hopeful. The reason I am sharing my cancer battle with you is because I have been posting a lot of healthier recipes on here for one, and because I may not be my over eager self. With all the doctor visits, treatments, etc... I am not the usual type A go getter that I have always been. I am tired, and unmotivated. I may have some lapses in posts on here. Bare with me! I am still here! I have amazing friends and family that are my strength. God is my rock and I am ready to beat this. So, I am on a diet that helps fight cancer. I have learned a lot. We should be eating to live, not living to eat. Being told things like eating one avocado a day is good for me, has really turned my world around. I just roll my eyes and the people that say "Be careful, avocado's are full of fat!" The fact is, our body needs fat, especially wholesome organic God given fat. Have you ever noticed that the heaviest people are the ones buying everything non-fat, or telling you to cut your calories? Take a look around in your lean cuisine isle this week. Filling your body with processed foods and chemicals instead of calories, it part of the fat epidemic we have here in the U.S. Fake food causes our bodies to hold on to fat and also causes many other ailments. We also do need a certain amount of calories. They just need to be healthy calories. Make every bit of fat and calories count. You will feel satisfied, and full of energy. While my diet has nothing to do with my cancer. I do believe you can fight things naturally as well as with modern medicine. I am making sure everything I put in my mouth is wholesome. Eating god given fat from fruits and veggies is the best possible way to go. So stop listening to people out there that say not to eat something because of fat and calories. Just make your fat and calories count. Eat to live. If you are using 100% natural God given food, you will be fine. Fuel your body on natural non-gmo, organic food. Not food that commercials say you need. Talk to a licensed physician and licensed nutritionist. 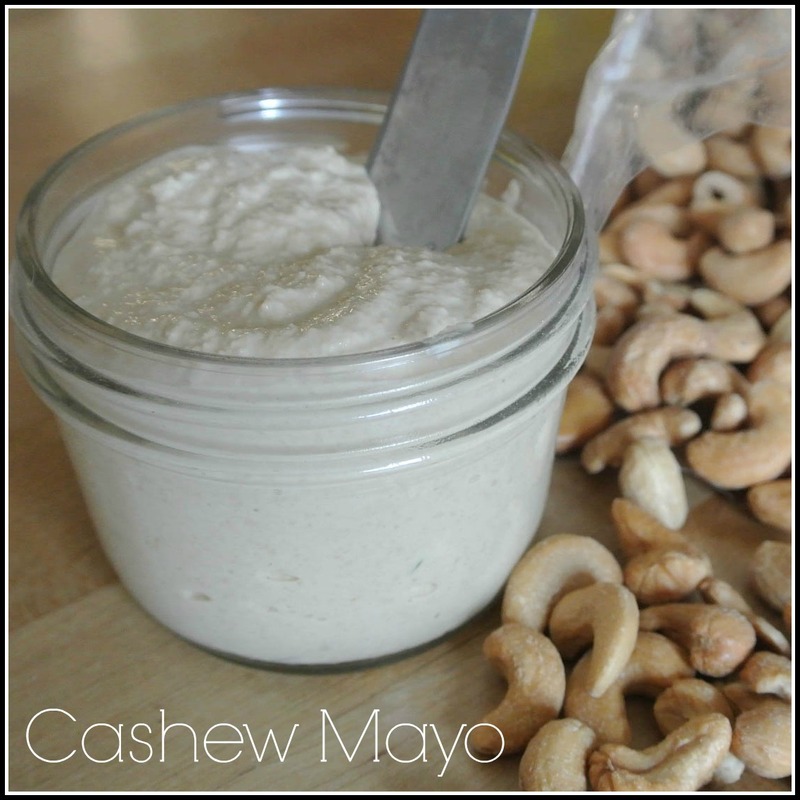 One of the things I was excited to be told to eat more of is cashews. I always avoid them because they are one of the fattier nuts. Turns out they do a lot for the body. 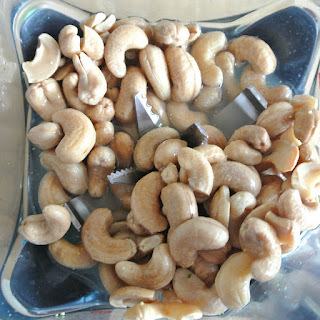 According to Livestrong.com; Cashews contain several antioxidant compounds that are regarded as anticancer agents. The National Cancer Institute explains that free radicals, which are damaged molecules, attack healthy cells, altering DNA and potentially leading to cancer. 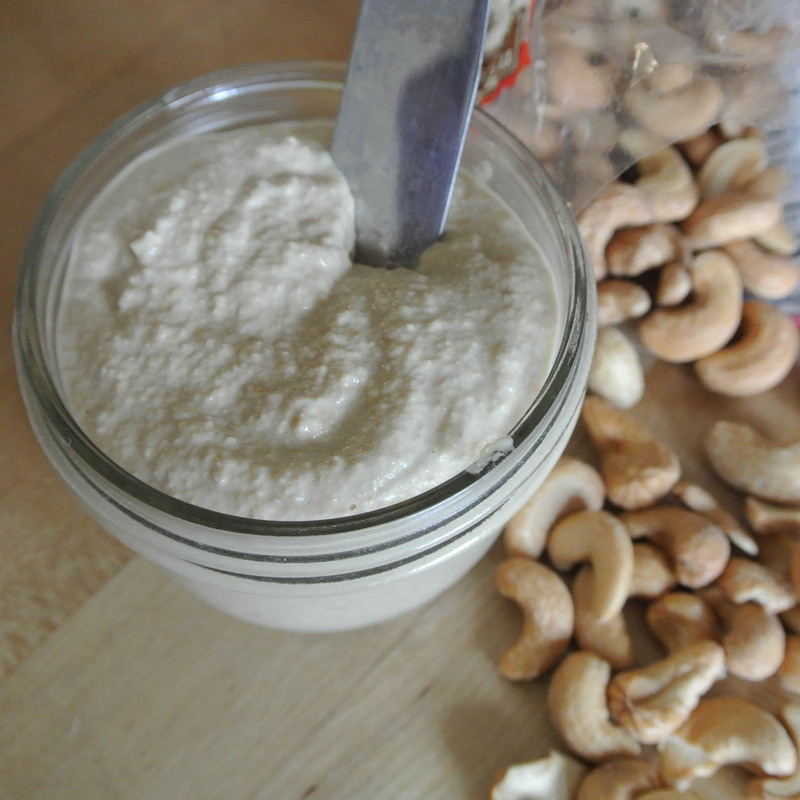 Proanthocyanidins are some of the antioxidant compounds found in cashews, and, according to Dr. Mehmet Oz, they are what make cashews one of his top choices of superfoods. Proanthocyanidins are reported to have the ability to stop the growth of cancer cells. So today I am bringing to you a healthy spread made out of cancer fighting ingredients. Eat up! Put one cup of raw cashews in a bowl and cover them with water. Let them sit for a minimum of 2 hours. Overnight is fine too. 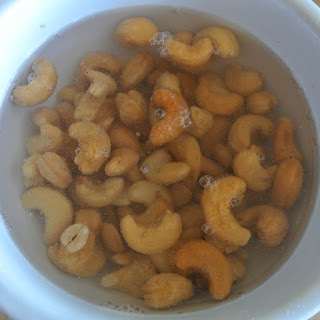 Drain and rinse the cashews, then pop them in your blender or food processor with 2 tablespoons of freshly squeezed lemon juice, and 1/4 cup of vegetable broth, 4 TBSP water. Blend everything until it’s completely smooth, scraping down the sides of the blender or food processor as needed. Salt to taste. Serve with everything you would serve with mayo. Veggie wraps are my favorite, but tuna salad is a close second. There you have it. A wholesome way to enjoy a spread. Every ingredient matters and is good for your body.